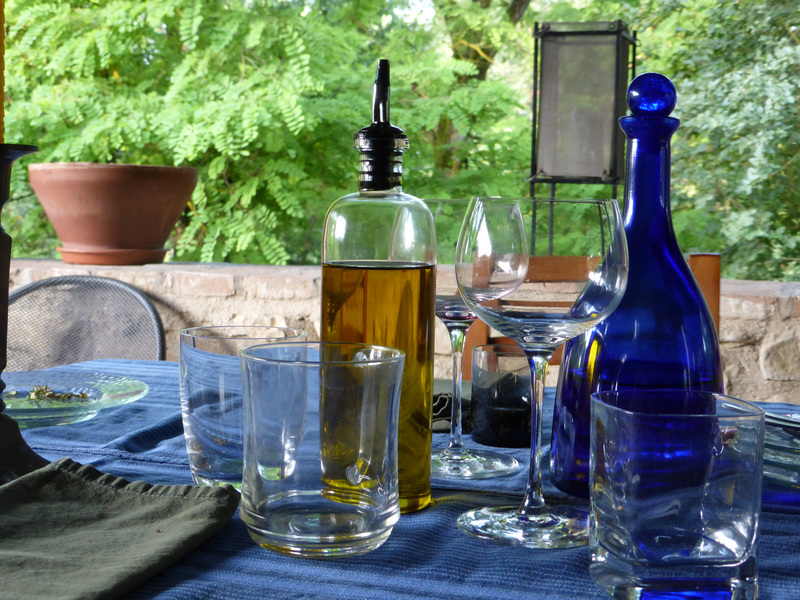 This entry was posted in Daily prompts, Umbria and tagged essence, Italian photos, living in Italy, moments, olive oil, photos, postaday, terrazza. Bookmark the permalink. Yes, with good Italian red wine coming in close 2nd. You’ve got that right, Ger!! Italian bread, still warm after baking in a wood-fired stone oven, dipped in olive oil–nothing could be finer! I remember going to a weight watchers meeting in the States and the leader suggesting a couple tablespoons of olive oil a day- the crowd couldnt figure out how in the world they could possibly use that much oil. I remember thinking they were nuts because olive oil goes well with everything! It is the essence of health. Great photo by the way. Never enough olive oil!! Thanks for the compliment on the photo. And thanks for stopping by my blog! I love olive oil. I put some fresh twigs of rosemary in a bottle and fill it with virgin olive oil. Great for salads.